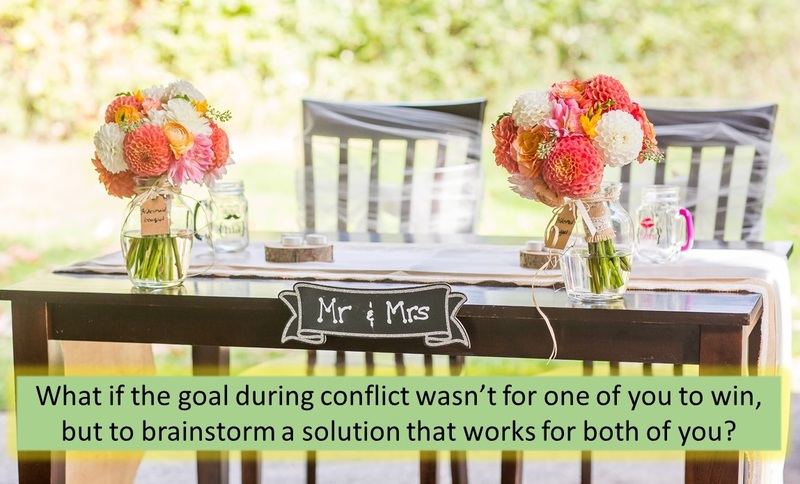 Have you tried this approach to resolving conflict? It’s natural during disagreement with our husbands to believe you’re right, he’s wrong, and you must convince him of that! However, if we stay stuck in that mindset, the battle only heats up. He gets defensive. You get defensive. Usually, the situation either evolves into yelling and ugly accusations or a silent, but deadly cold war. There is a better way and it begins with rethinking your end goal. So, the next time you and your husband start to have a significant disagreement, suggest that you would like to sit down together and better understand his perspective and concerns. Then gently share your concerns, and ask him to join you in brainstorming a solution or compromise that would be the best fit for both of you.